Obituary for Rev. Leo Donald Cameron | W. J. Dooley Funeral Service Ltd. It is with sadness that we announce the passing of Rev. Leo Donald Cameron, OSA. Fr. Leo died on Friday, March 29th, in Delta. B.C. a little shy of his 87th birthday. Since 2013, he has been in residence at Augustine House, a retirement home near the monastery of our Lady of Consolation. Before he retired, Fr. Leo served as associate pastor at Sacred Heart Parish while also serving as Prior of the local community in addition to his appointment as the Provincial Treasurer of the Augustinians in Canada. Fr. Leo was born on April 8th, 1932, in Mabou, Nova Scotia to Findlay and Sarah (Beaton) Cameron and was baptized Donald Angus. He grew up in a home filled with love for family and for the Church. As a young boy, he helped the parish priest by serving Mass and by milking the cow. Around the age of 14, Leo and several others made an unscheduled day trip to the Augustinian Monastery in Nova Scotia. Leo was impressed with the hospitality shown him during his visit. Through prayer and responding to God’s call for him, Leo decided to join the Augustinians. It was October 2nd, 1949 when he boarded a train with his father headed to the monastery. He entered the Order of Saint Augustine as a novice at the Monastery in Nova Scotia and professed his temporary vows on Feb. 16, 1954 and his final vows on Feb. 16, 1957. He was ordained to the priesthood on June 14th, 1986. 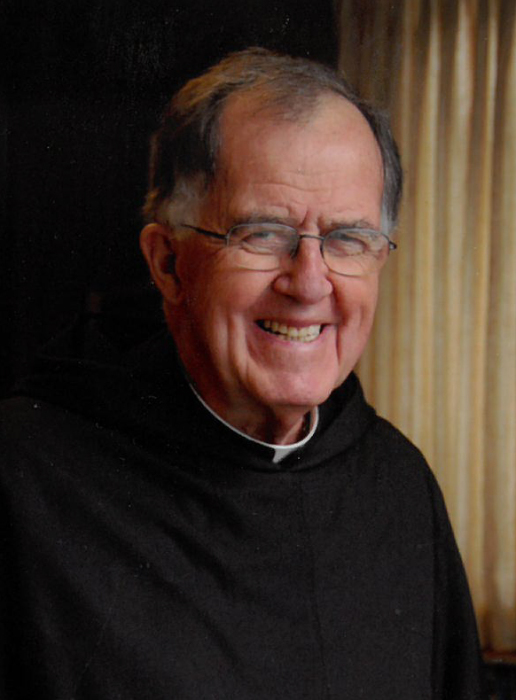 Prior to his ordination as a priest, he worked for 39 years as a brother on the farms of the Friars in Nova Scotia; Marylake, Ontario; and in Ladner, B.C. Agricultural work had been a big focus for the Canadian Augustinians. As a farmer, Leo had a particular specialty as a herdsman. After his work in agriculture, he became more involved in youth ministry in various parishes. He was also involved in vocation ministry, that is, helping other young people discern their vocation with the Augustinians. In the late 1970’s and 80’s, Leo joined a program for ‘late vocations’ to the priesthood at St. Joseph’s Seminary at Neuman University in Edmonton, Alberta. He was subsequently ordained to the priesthood at Marylake Monastery in King City, Ontario. As a priest, he served at Sacred Heart Parish in King City, Ontario and also at Sacred Heart Parish in Delta, B.C. As an Augustinian, he served as Prior of the Augustinian communities in Nova Scotia, Ontario and British Columbia. In 2007, Leo was transferred back to Ladner to serve Sacred Heart Parish. He retired at age 81. Fr. Cameron is survived by his sisters, Janet Cameron and Isabelle (Harold) Hirlehey, his brother, Fr. Francis Cameron, two nephews, Patrick and David Hirlehey and a host of cousins and friends. He was predeceased by his parents and two sisters, Mary Cameron and Margaret Manuti. Visitation will be held at St. Andrew’s Church in Boisdale, Nova Scotia on Sunday, April 7th between 4 to 9 pm . Mass of Christian Burial will be held 11:00 am on Monday, April 8th at St. Andrew’s Church. Burial will take place in the parish cemetery. A reception will follow at the Boisdale Firehall. Funeral arrangements are under the care and direction of W.J. Dooley Funeral Home, 107 Pleasant Street, North Sydney. Online condolences may be sent to the family at www.wjdooley.com .